Reset you body, flush toxins, lose weight and feel energized with this easy to follow plan. 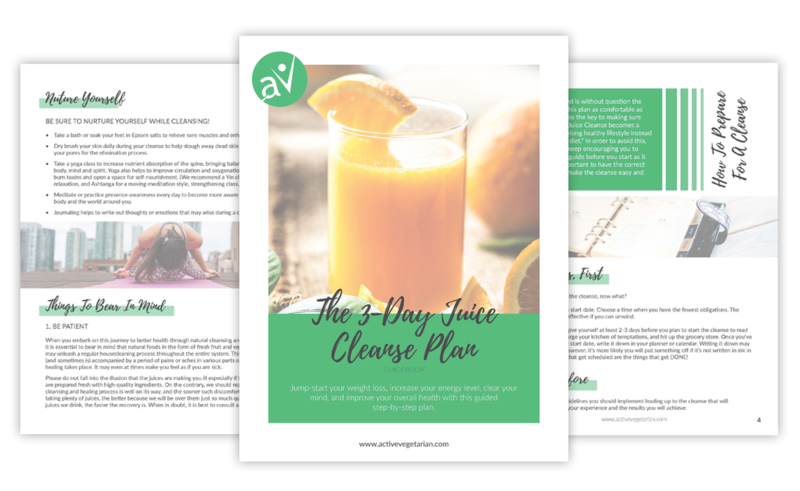 The 3-Day Juice Cleanse Plan is the “Perfect Fit” for anyone (vegan or not) looking to kick-start healthier habits, whether to lose weight, become fitter, or to simply cultivate a more balanced lifestyle. 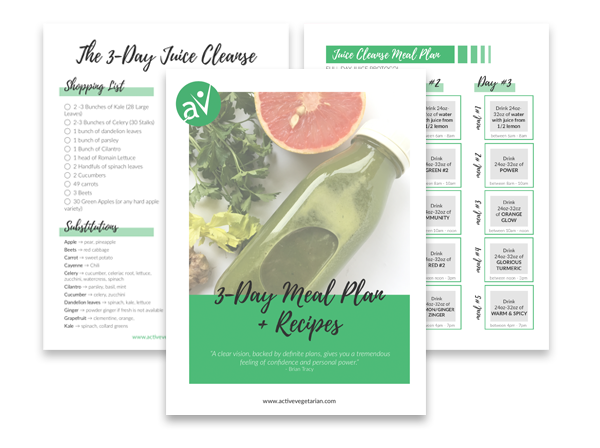 What is "The 3-Day Juice Cleanse Plan"? 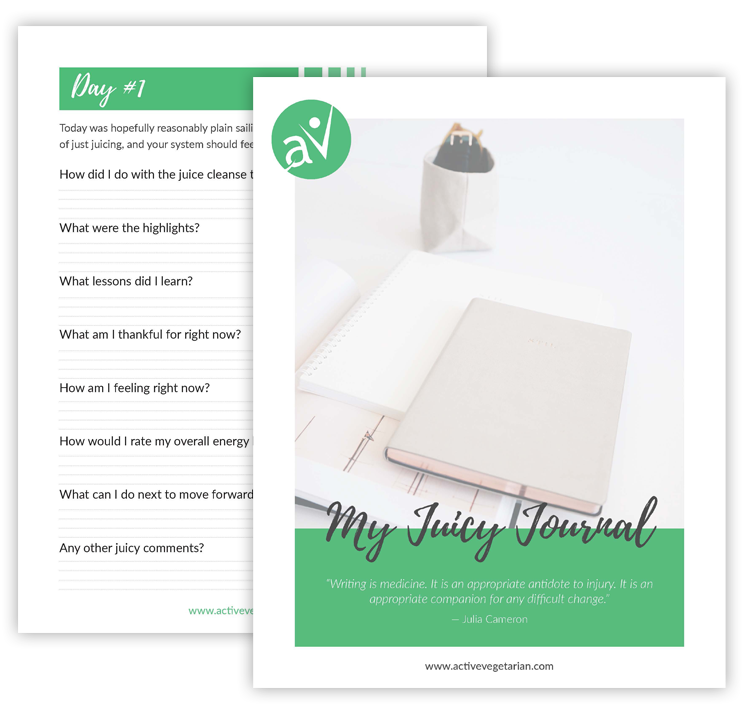 Powerful 3-day guided plan that is designed to jumpstart your weight loss, increase your energy levels, clear your mind, and improve your overall health. No matter what diet you practice, a juice cleanse is a way to inspire or refocus healthy habits and get your body to a state of optimum health. 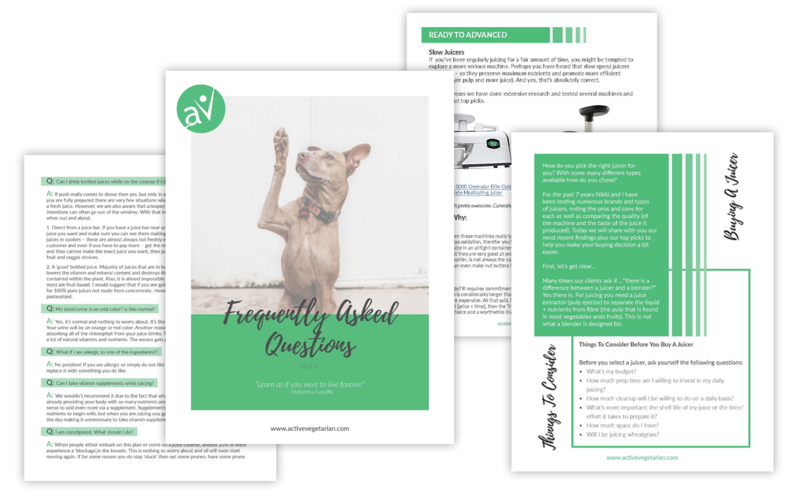 Easy-to-prepare recipes, 3 day menu plan, shopping list and everything else you need to begin your new life of healthier living! Give your body a rest from solid foods and supply it with nutrient-dense fruit, vegetable and herb juices without going hungry. Learn how to eliminate food cravings, improve your vitality, kick-start your immune system and shed a few unwanted pounds. The important steps you want to take BEFORE you start a juice cleanse. Tips to make sure you stick with your new commitment to health. How to keep juicing simple. 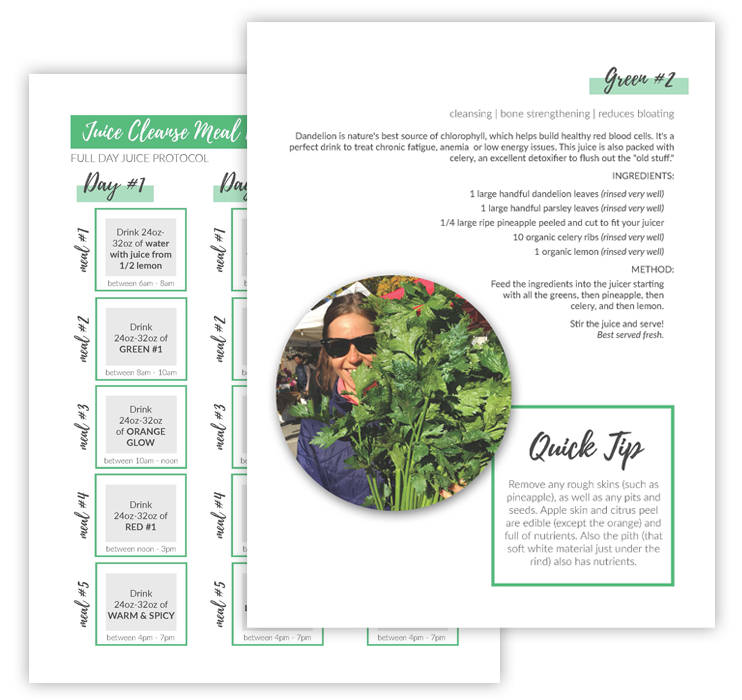 We share an easy way to make the juicing habit fit into your lifestyle, no matter how busy life gets. What to do when you start experiencing detox symptoms like a headache, runny nose, fever or fatigue. We’ll explain to you what’s happening to your body and how can you keep moving forward. How to break the cleanse. It’s very important that you know how to “break” the detox and we will guide you through it in a safe and healthy way. In addition, you’ll learn how to eat after your cleanse so that the detoxification and weight loss benefits continue. The goal isn’t just weight loss, but achieving – and then maintaining – complete physical, spiritual, mental, and emotional well-being. Complete 3-day recipe e-Book with 10 delicious juicing recipes for successful juice cleanse. Includes all ingredients you will need for your 3 -day juice cleanse. Substitution chart if you want to swap fruit and veggies you don’t like or are hard to find in your area. 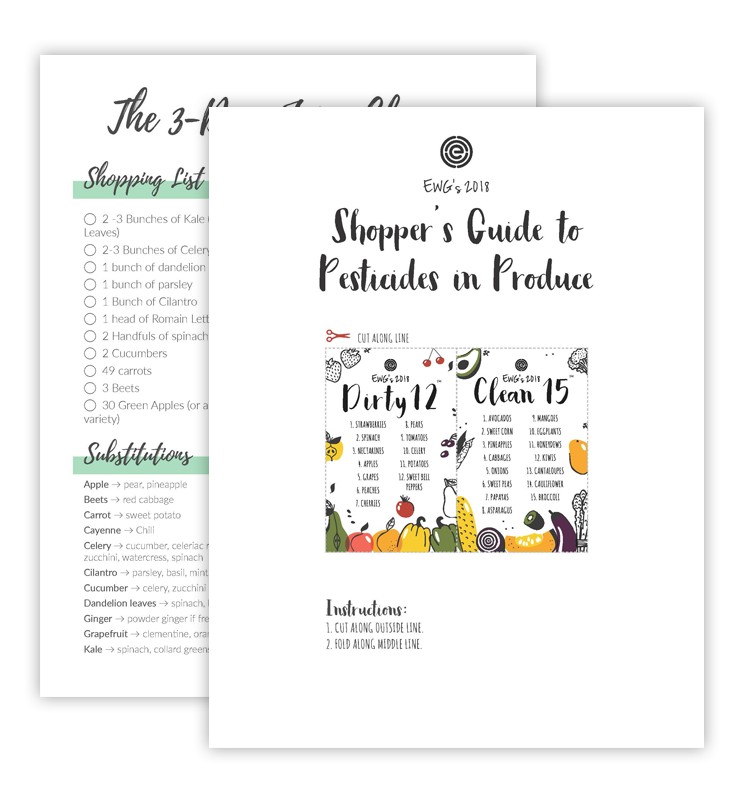 Dirty dozen and clean 15 Chart from EWG. All documents are handy printables to take with you. Simple yet effective tools to help you through your journey. Set goals for success and tips to stay motivated. Track daily activity, cravings, and feelings about your progress. Daily check-ins to keep you focused without getting obsessed. 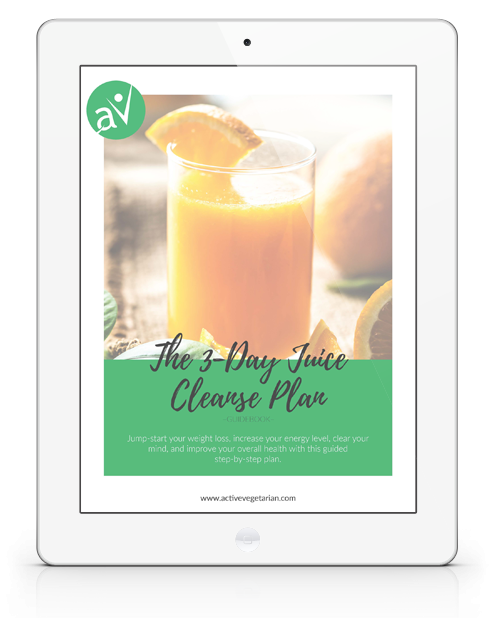 For the ﻿p﻿rice of ﻿a Take-Out Meal, ﻿get the entire 3 -Day Juice Cleanse plan now and take your first step towards a healthy vibrant life! 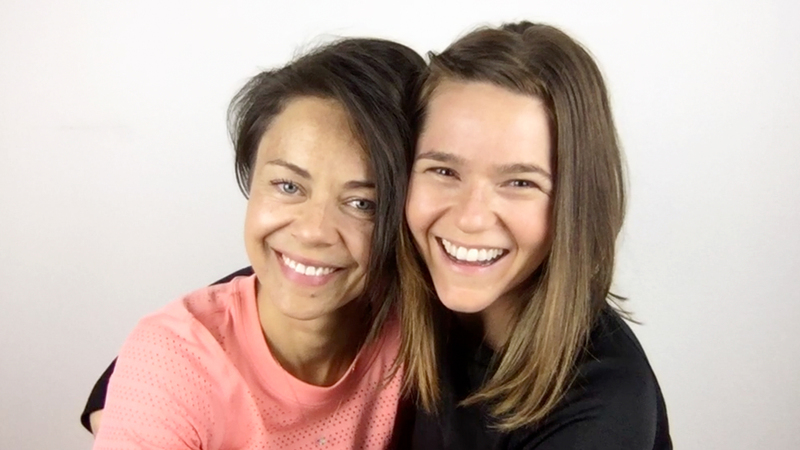 – health coaches, founders of ActiveVegetarian.com and authors of the Vegan Weight Loss Manifesto. Both of us have been following a plant-based lifestyle for over two decades, and during this time we have encountered many amazing benefits of living this way. These life-changing results inspired us to dive deeper into learning about the power of whole food plant-based nutrition and the positive impact such diet can make on our lives. Over the years our passion has evolved to coaching others towards achieving their own health goals by adopting an active plant based lifestyle. We decided to create this 3-Day Juice Cleanse for anyone looking to improve their physical, mental and spiritual wellbeing. 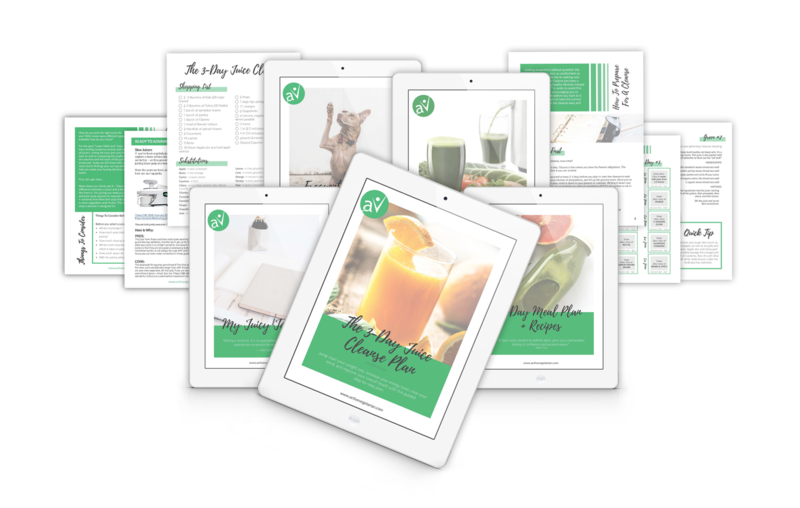 Whether you want to kick-start healthier habits, lose weight, become fitter, have more energy, clearer skin, better digestion, better sleep, increase your brain function or simply cultivate a more balanced lifestyle this plan is an excellent start! We invite you to come along with us on your journey to a healthier, happier and more vibrant life!